The book explains how technology professionals can supercharge their careers. 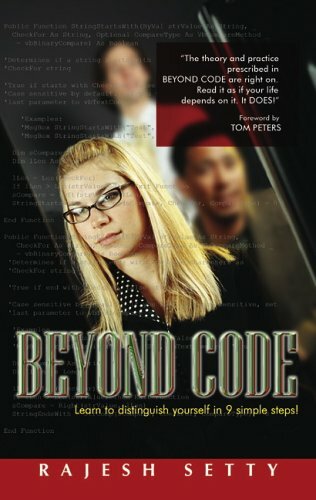 Complete with exercises, examples, and insights, Beyond Code provides a recipe for technology professionals to raise above the commodity crowd and become remarkable. This book is crucial for IT professionals who want to succeed through distinction. The author's insights are clear, instructive, and vital for long term career success in IT. Phil Factor is a legend in his own runtime. Scurrilous, absurd, confessional and scathing by turns, this book targets the idiocy, incompetence and overreach of the IT management industry from vantage point all the way up and down the greasy pole. This book will help small business owners and IT professionals better manage the risks that arise in day to day business. There are tips on choosing professional liability insurance coverage, managing projects, and working with subcontractors. This book takes a business process focus towards understanding operations, information systems, and management decision making in contemporary organizations. A wide range of information technologies in business processes are integrated throughout.